Chamberlain's Leather Milk Leather Healing Balm is concocted from the finest, most meticulously selected ingredients, ranging from cosmetic grade adhesives to deeply conditioning oils and waxes, Chamberlain’s new Leather Milk Healing Balm may be the most intense leather healing remedy on the market yet. Unlike ordinary conditioners, Healing Balm is made especially for aesthetic work, designed for detail and touch up work for leather that’s seen better days. 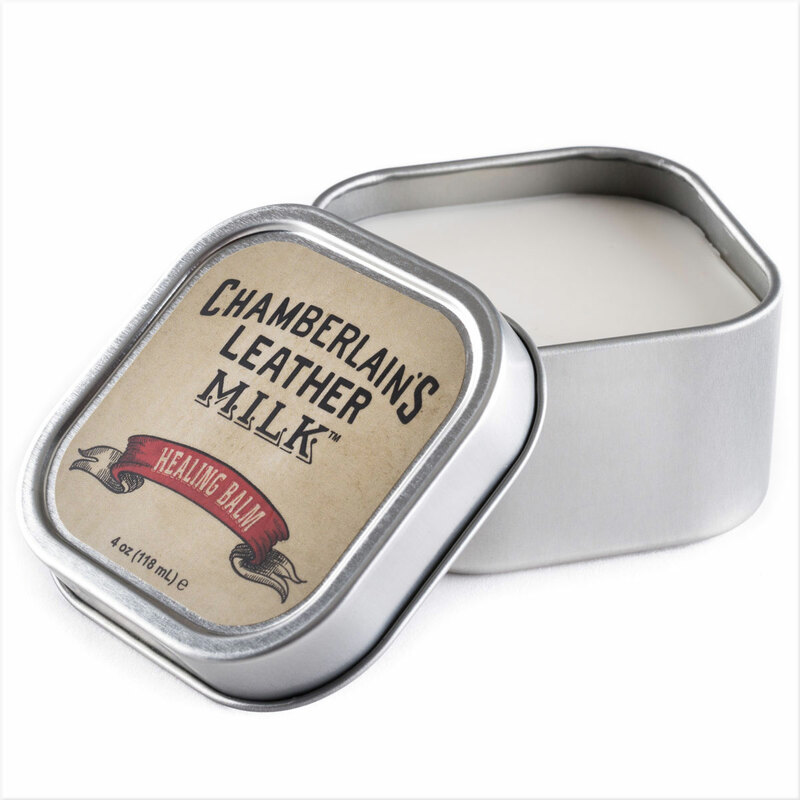 Chamberlain's Leather Milk Leather Healing Balm is rated 5.0 out of 5 by 2. Rated 5 out of 5 by Carol1945 from This product is totally amazing and it really wwas res! Rated 5 out of 5 by Copperfield from A little goes a long way Chamberlain's Leather Milk did a great job restoring some very well loved and rather tired strapgoods and boots. It leaves the leather more pliable and with a nice sheen. The finish can be a little tacky if too much product is applied. The can is small, but a little goes a looong way!